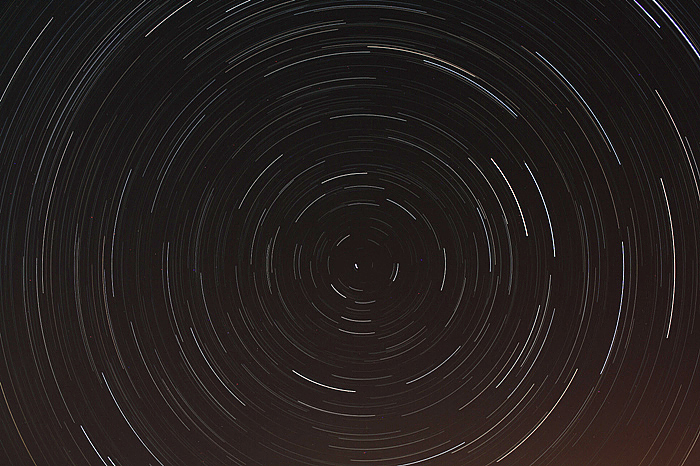 Circumpolar Trails - This star trails photo shows the apparent motion of the stars near the north celestial pole. The north celestial pole is the point in the sky to which Earth's axis of rotation points in the northern direction. This point is close to - but not exactly at - the north star, Polaris. Stars near the north celestial pole appear to make circles around that point as the Earth rotates about its axis. A long exposure star trails photo such as this one will make this apparent, showing the circles that the stars make.